Glass Defect Manual - Now ONLINE! 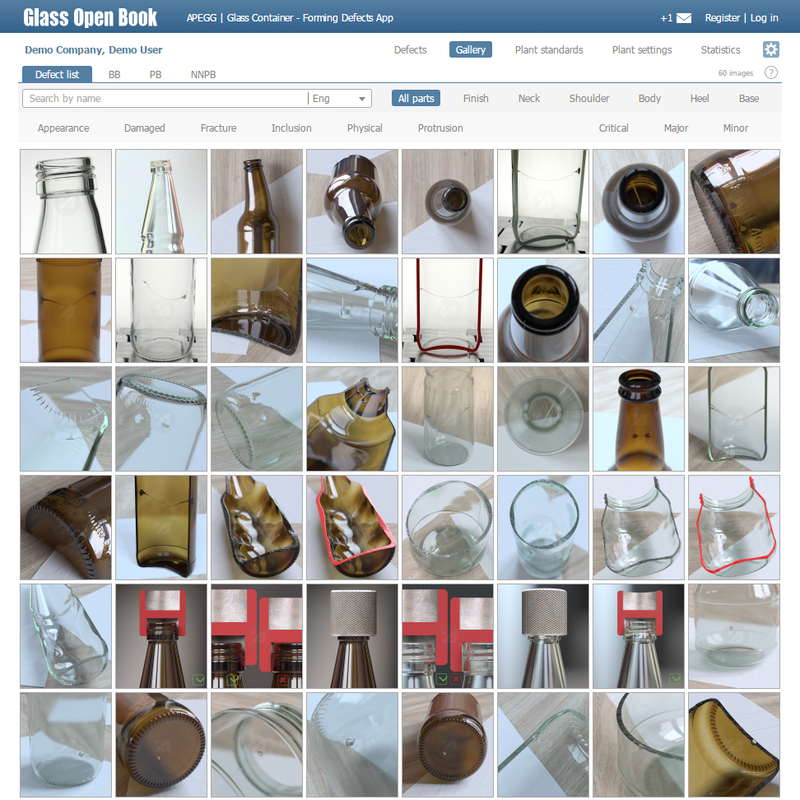 Find all glass bottles and jars manufacturing defects. I am proud to say that APEGG have built the first interactive forming defect system for the glass container industry. This application is for manufacturers, brand owners, fillers/bottlers or anybody else using glass containers; covering all aspects of forming defects in glass packaging. A system that provides knowledge in a way that should be expected in the 21st century. Existing information has generally been in paper form, which although very useful, has been about since the middle of the 20th century. This information has been copied repeatedly without really updating the content, glass plants have written their own books instead of working to one standard – now that’s history. Today with this application, information about forming defects can be readily accessed in real time and can be modified or complemented to suit each individual glass plant – always having up to date and standard information at hand. APEGG is not willing to accept that our industry is a producer of glass container forming defects - therefore over the last two years APEGG have invested time and money to create an application that will change the way the industry thinks and deals with forming defects. I trust that you will find this application useful for your company, it is not just a collection of text and pictures, this app is a ‘MUST HAVE’ for professional people. Join us to make the glass world a better place by eliminating forming defects.